Just like other networks, Sun Celllular also offer share a load or pasaload service where you can send regular or special promo load regardless if you’re prepaid or postpaid subscriber. Sun users can send a minimum minimum of 10 pesos and maximum of 50 pesos. Prepaid does not have monthly transactions limit while postpaid can only send a maximum amount of P500 monthly. What makes special with Sun Cellular Give a Load service is you can send a promo load like unlimited texts promo TU20 or TU50, call and texts unli CTU25, combo load (CTC10), unlimited internet browsing and other promos you want to share with your friend and love ones. Do note that give a load or share a load cost P1.00 per successful transaction. Just simply text GIVE(space)Amount(space)11-digit Sun mobile number then send to 2292. Example format: GIVE 50 09421234567 to 2292. For direct promo Give-A-Load just text GIVE(space)keyword(space)11-digit Sun mobile numberand send to 2292. Example format: GIVE CTU100 09421234567 to 2292. You can also share internet data load using above format. Available amount and promo code you can use on give a load transaction. thanks for the info.keep it up! How to pass load from Sun to Smart pls ? I use to do this but lately this ain't working anymore. Nothing happens. Is there any other way to do this? 2292 is not working anymore. hey!i try to these but the load didnt receive.my airtime bal been deducted!!!! different case with mine. i was able to give a load when i am together with the other subscriber. then i tried to give a load wherein the subscriber was in a different place. the giving a load failed. tried to call the customer service. they told me that perhaps the network signal may not be working properly. 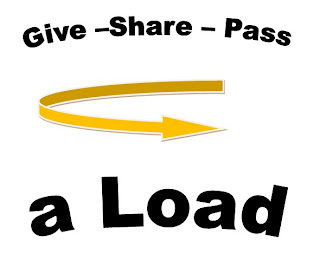 i have been using the give a load ever since and it worked all the time. unfortunately, 2292 is no longer working. i am very disappointed with the service. Tried it 9/9/2015 and it does not work. Receiving SIM was in the same room.